As part of Long Now’s ‘brickstarter’ campaign”, which ends on October 1, 02014, we’ve created our own Challenge Coin which is only available to those who have helped us build The Interval at Long Now. The tradition (and mythos) of Challenge Coins goes back farther than reliable records can determine. Wikipedia tells an evocative (but unsubstantiated) story from World War I about an American who escaped German captivity only to nearly be executed by French soldiers, his allies, because he had no papers to identify him as a US soldier. Finally he showed them a bronze medallion that only members of his squadron carried. It proved his identity and saved his life. So the Challenge Coin was born. In the spirit of this tale, modern military members challenge each other to produce their unit’s coin. Commonly, the challenge is initiated by slamming a coin onto the bar. Those who take too long to produce their own coin or haven’t got one are on the hook for a round of drinks. 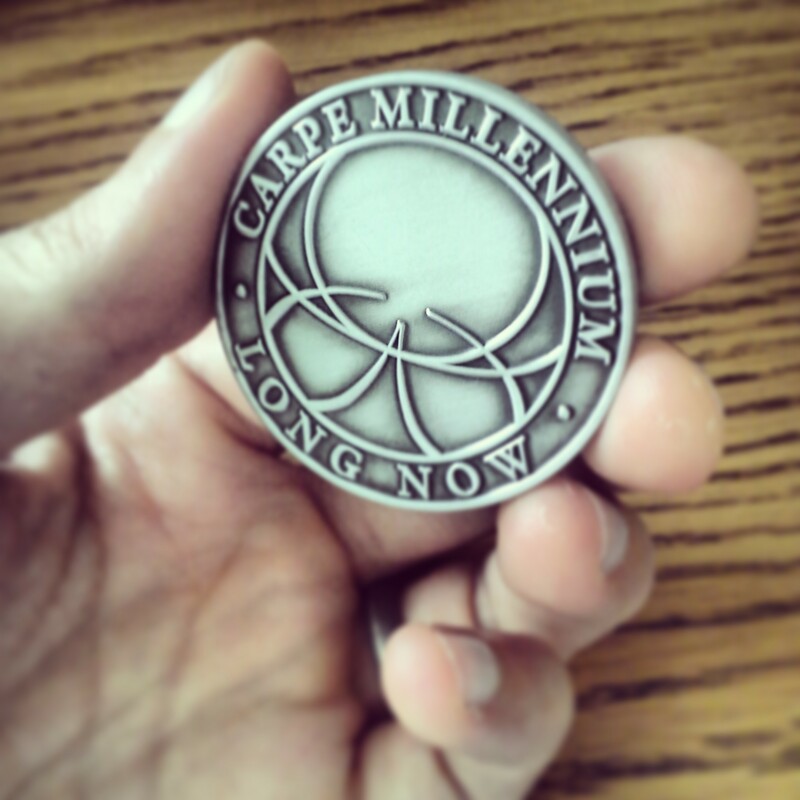 We have designed a custom Long Now Challenge Coin to mark the founding of our latest endeavor the Long Now Salon and celebrate the camaraderie of all the long-term thinkers who will gather there. 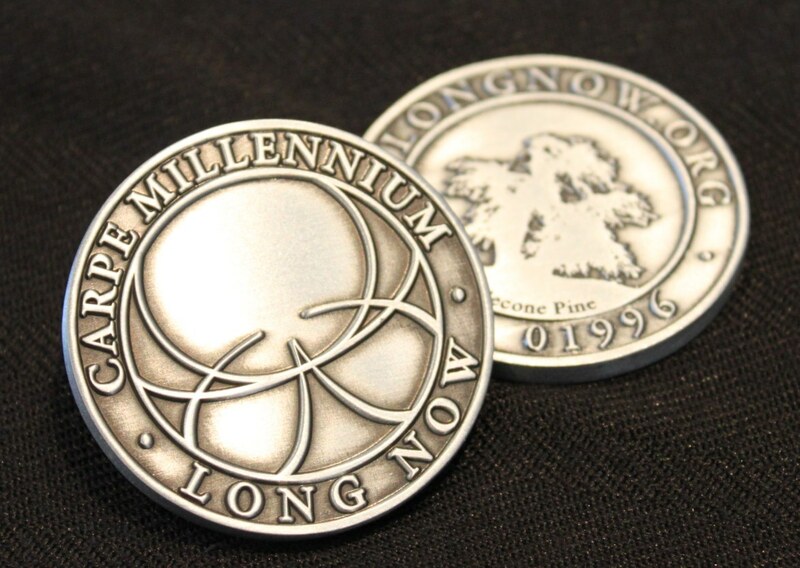 On one side the coin challenges you to “Seize the Millennium” and the other features a bristlecone pine. Bristlecones are the Earth’s oldest living organisms with a lifespan up to 5000 years. They are a symbol of Long Now’s mission to foster long-term thinking and responsibility. The Long Now Challenge Coin is available to anyone who donates $100 or more to the Interval at Long Now ‘brickstarter’. How Can We Create a Manual For Civilization?